← How do you clean sash windows three floors up? Today Spick & Span window cleaners went down to the Battersea Park area of Battersea SW11, to clean the windows on behalf of a high profile resident that lives in Battersea SW11 postal code area. Spick & Span window cleaning who clean windows on behalf of professionals and residents within the Battersea and surrounding areas, were contacted by a personal assistant working for the property’s owner. From the initial phone contact to window cleaning’s completion there was a total time lapse of around 24 hours, as this was an emergency clean. Spick and Span arrived just before arranged, at 1pm today, and met with the homeowner. A brief risk assessment was made and work commenced on the front of the property at the outside. In total there were 8 sash windows which needed cleaning including a bay on the ground floor. The window cleaning method that was used was to clean was the reach and wash system as this always leaves windows clean and smear free. While in the property dust sheets were used. At the rear of the property access was restricted to the attic bedroom on the 3rd floor and also a bathroom window, because of a large kitchen extension and these windows could only be cleaned from inside the property. On the ground floor at the rear were some very large panes which made up a glazed kitchen extension these looked much better after the cleaning, as they were originally thick with dust and sand deposits. As a complementary part of the service all the frames were wiped, as was the plastic tubing that protruded out beneath the patio doors. The large glass roof light of the kitchen extension could only be cleaned successfully from out of one of the bathroom windows. This was cleaned with the aid of window cleaner’s extension pole. When window cleaning the windows inside the house Spick and Span used damp micro-fibre cloths, this was to limit the use of water, and so as a result, minimize the risk of water spillage. 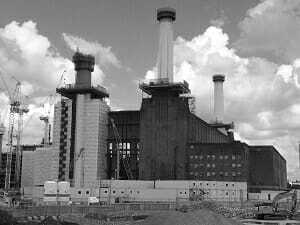 Spick & Span window cleaners have been very busy working in Battersea of late as this in now the 5th time that Spick & Span window cleaners have cleaned windows in Battersea within the last 3 weeks.